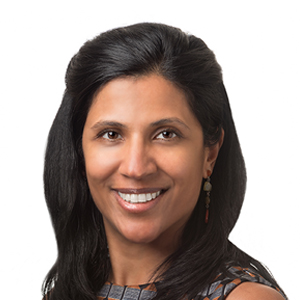 Namratha Kandula, MD, MPH, associate professor of Medicine in the Division of General Internal Medicine and Geriatrics, was a co-author of the study, which found that Americans of South Asian descent are twice as likely as whites to have risks for heart disease, stroke and diabetes. See coverage of this research at the University of California, San Francisco (UCSF). Americans of South Asian descent are twice as likely as whites to have risks for heart disease, stroke and diabetes, when their weight is in the normal range, according to a study published in the Annals of Internal Medicine. Namratha Kandula, MD, MPH, associate professor of Medicine in the Division of General Internal Medicine and Geriatrics, and Kiang Liu, PhD, professor of Preventive Medicine in the Division of Epidemiology, co-authored the study, which was headed by investigators at Emory University and UCSF. Americans of Hispanic descent were 80 percent more likely than whites to suffer from so-called cardio-metabolic abnormalities that give rise to heart disease, stroke and diabetes, compared with 50 percent more likely for those who were Chinese and African-American. These risks include high blood pressure (hypertension), elevated glucose, low HDL, the “good cholesterol,” and high triglycerides, a fat found in blood. In the study, participants, who were aged between 45 and 84, were classified as having cardio-metabolic abnormalities if they had two or more of these four risk factors. The study included 803 South Asian residents of San Francisco Bay and Chicago areas, who traced their ancestry to India, Pakistan, Nepal, Bangladesh or Sri Lanka. Also enrolled in a parallel study were approximately 6,000 residents of New York, Baltimore, Chicago, Los Angeles, Minneapolis-St. Paul and Winston-Salem areas, who identified as Chinese, white, Hispanic or African-American. For whites, Hispanics and African-Americans, normal weight was categorized as having a body mass index (BMI) between 18.5 and 24.9 kg/m2. For Chinese and South Asians, the range was narrower: from 18.5 to 22.9 kg/m2. Questionnaires were given to assess participants’ activity levels and eating habits. The investigators found that for non-whites to have the same number of cardio-metabolic risk factors as whites with a BMI of 25 kg/m2 — the equivalent of 150 pounds for a woman measuring 5-foot-5 — they had to have much lower BMI levels. These were 22.9 kg/m2 for African-Americans, 21.5 kg/m2 for Hispanics, 20.9 kg/m2 for Chinese and 19.6 kg/m2 for South Asians — the equivalent of 118 pounds for a woman measuring 5-foot-5. Kanaya, who is also the principal investigator of the MASALA study (Mediators of Atherosclerosis in South Asians Living in America), which enrolled the South Asians, said that the results of the study should not be interpreted as a call to those with normal BMI to lose weight. “We hope the results will enable patients and their healthcare providers to see that race/ethnicity alone may be a risk factor for cardio-metabolic health in minority Americans,” she said. The study was funded by the National Institutes of Health and the National Heart, Lung and Blood Institute. Co-authors of the study included Eric Vittinghoff, PhD, of UCSF; Morgana Mongraw-Chaffin, PhD, of Wake Forest School of Medicine in Winston-Salem, N.C.; Dhananjay Vaidya, PhD, of Johns Hopkins University School of Medicine in Baltimore; Matthew Allison, MD, MPH, of UC San Diego; Jeffrey Carr, MD, of Vanderbilt University in Nashville, Tenn.; and KM Venkat Narayan, MD, of Emory University.